The annual conference took place in Genoa. 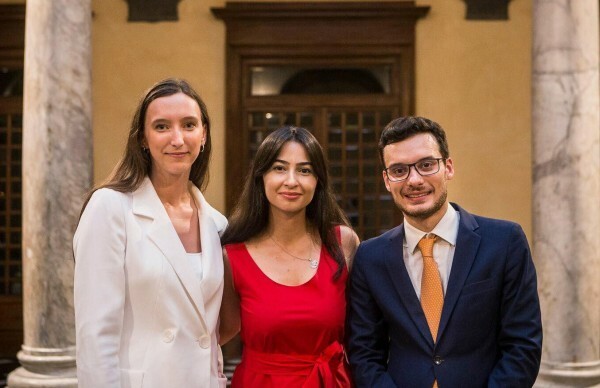 The conference of the organization European Democrat Students titled "Europe: Country of Creativity, Innovation and Unity" was held in the Italian city of Genoa. The Republican Party of Armenia was represented at this event by the Chairman of the Commission of International Relations of the Youth Branch Lilit Beglaryan. The peculiarities on the European space related to the creativity and innovations were discussed. The delegates were introduced to those innovations and ideas which have largely contributed to the development of Italy and Europe. The governing staff of the EDS was elected during the conference. The chairman Virgilio Falco was reelected, deputy chairmen were elected. Sara Alexandra Yuriks was appointed as the secretary general of the organization.